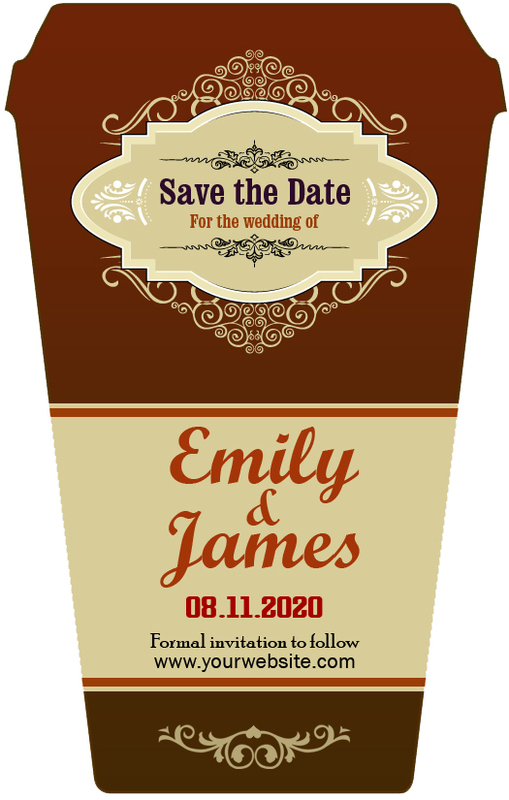 Do you long to say “we united over 2 cups of coffee and wish to spend rest of our life together and sipping from a single cup”, then you can do it easily with this over this wedding invitation. 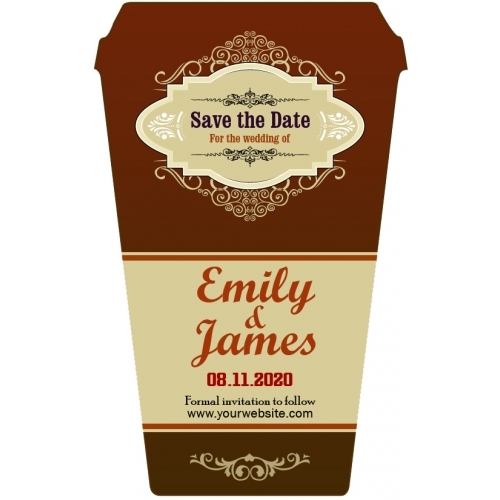 A personalized 3.5 x 5.5 inch coffee cup wedding save the date magnet gains easy acceptance from everyone due to its mesmerizing shape. A custom 3.5 x 5.5 inch coffee cup wedding save the date magnet is retained as an invitation, memoir and a refrigerator art. This magnet can lure a viewer to your wedding venue by its shape and its delicious coffee charm! Product Size : 3.5 in. x 4 in.